A great classic! 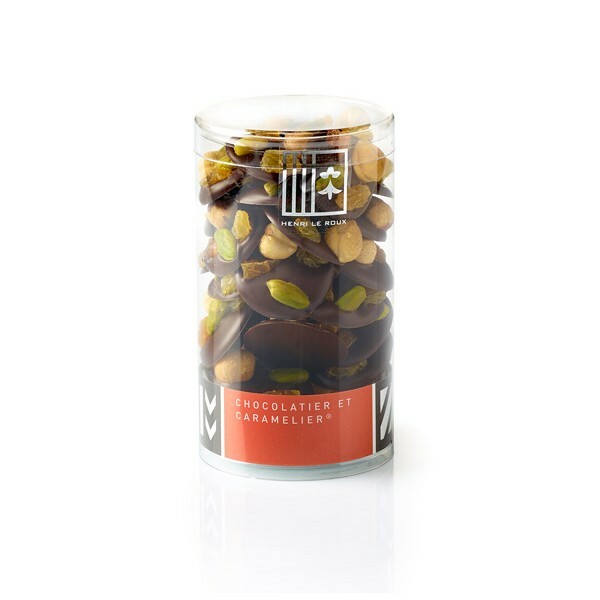 A delicate marriage between dark chocolate and dried fruits: hazelnut, pistachio, dried grape and dried apricot. Ingredients: dark chocolate (cocoa bean, sugar, cocoa butter, emulsifier: SOYA lecithin, natural vanilla extract), HAZELNUT, dried apricot sec (apricot, antioxidant: SULPHUR DIOXIDE), dried grape (grape, antioxidant: SULPHUR DIOXIDE), pistachio.